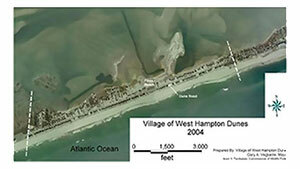 Since 1975, Environmental Services of First Coastal has been a leader in Coastal Zone Management. Our projects include: ocean and harbor dredging design and supervision, beach re-grading projects, the formation of erosion control tax districts, flood insurance studies, emergency fill operations, storm damage analysis and remediation, dredging spoil fill projects, and drafting impact analysis. The ongoing Coastal Monitoring Program keeps our clients informed of site-specific conditions on their property, as well as developments in the economic, political, and technological spectrum that are so vital to Coastal Zone Management for the millennium and beyond. Our clients in Coastal Zone Management include federal, state, and local government, municipalities, community action groups, individual and group landholders, private corporations, and academicians. We offer a unique balance of technical expertise, environmental concern, and rigorous standards to reach practical solutions that meet the growing demands of today’s dynamic coastline.